Before the new year I decided that I would stop eating meat and go on a plant-based diet. We’re well into the second month of the year and I’m still holding on. It’s actually been easier than I thought it would be because I always preferred fruits and veggies over any type of meat. I guess the thing that held me back for so long was worrying about what foods I would be eating in place of meat. Things like caloric intake and protein also crossed my mind. Who knew that stopping eating meat would lead to so many decisions? I definitely didn’t! 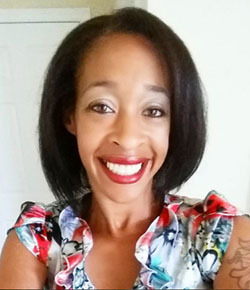 I made the decision to start out by sticking with meat free dishes that I usually eat and then incorporate more meatless recipes into my meal plan as I go along. One of my favorite things to eat are salads! Right now it’s strawberry harvest time here in Florida so they’re pretty easy to find and very affordable. There are local farms here in the Miami-are that actually allow you to go in their fields and pick your very own strawberries. You pay by the pound and if you get carried away, it can get pretty expensive. 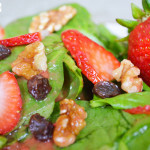 I love making this strawberry spinach salad with strawberry vinaigrette, whenever I want something easy and leafy! Gently toss all of the ingredients for the salad in a medium bowl. Set to the side. Blend all of the ingredients for the vinaigrette on medium speed, until mixture is smooth. When ready to serve, pour the vinaigrette over the salad and enjoy! 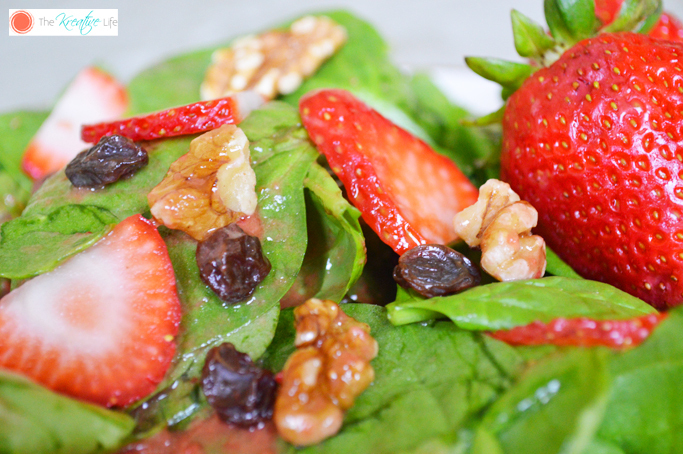 Have you ever ate a Strawberry Spinach Salad? What’s your go-to meatless dish if you want something quick and easy? If you love recipes with strawberries, then you should try out these Strawberry Yogurt Pops. Your Strawberry salad looks delicious! I’m not sure if I would add the Strawberry vinaigrette. I normally do not add dressings to my salads, although, I think this one would enhance the flavor. Strawberries in a salad make me happy. I haven’t had any in awhile that way. I’m going to make this spinach salad. I feel like this would make the perfect summer salad. Yum! Yummy! We love strawberries around here, but I am going to have to grow some this year with how fast my daughter goes thru them. 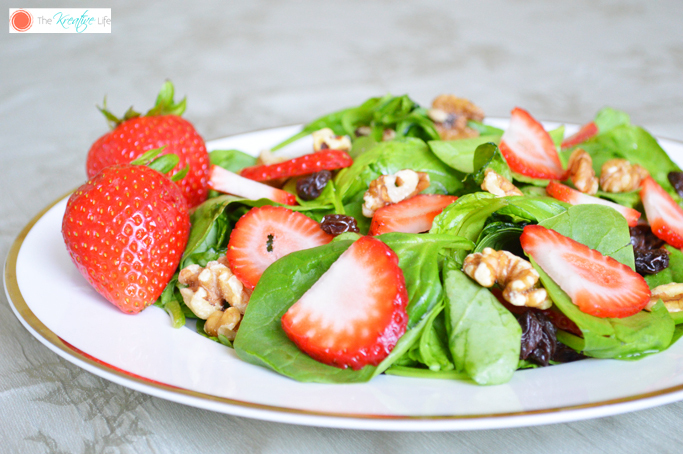 I’ve always loved the way strawberries pair with spinach, balsamic and nuts. The flavor profile is amazing, with it’s sweet and savor notes. This sounds so fresh and delicious. 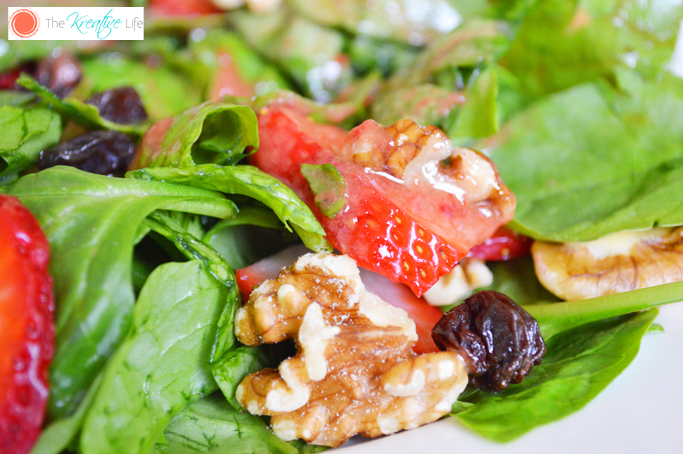 I love walnuts on salad, and the strawberries are a perfect topping to go along with the walnuts. This would be perfect in the summer for when we go strawberry picking! 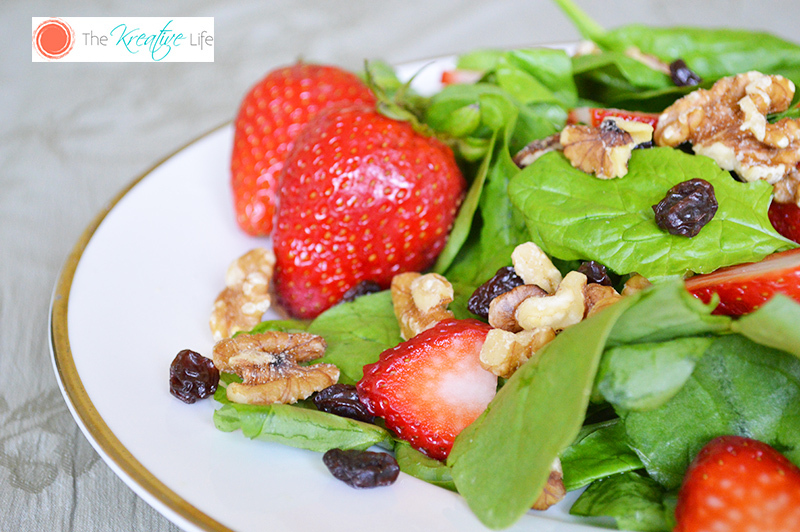 I would have never thought of putting strawberries and spinach together. But I can feel this is a great combination. I also love the idea of the strawberry vinaigrette. I’m not typically a big fan of salads but this looks delicious! Yummy! This salad looks delicious! Oftentimes we do worry about what we would eating when doing a plant-based diet, later to only realize that there’s tons to eat besides meat. Best of luck on your meatless journey! What a lovely salad for the summer. I’ll try this recipe out. Thank you! 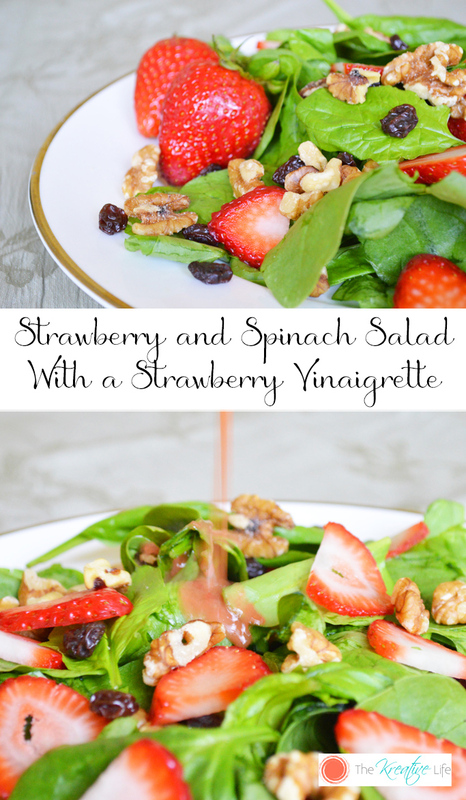 Strawberry vinaigrette sounds amazing. I’ve just started getting back into making my own dressings. Can’t wait to add this one to the rotation.